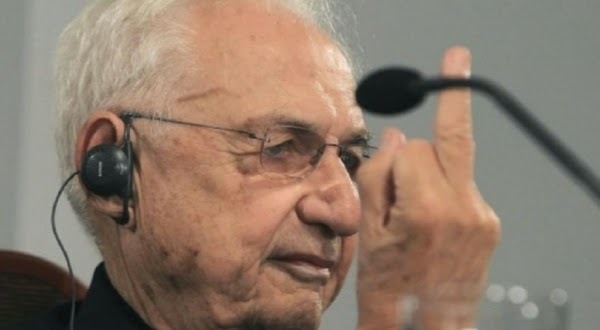 Frank Gehry museum opens "Vuitton" is shown to lift a finger to accuse him of a "review" Archi-new - Free Dwg file Blocks Cad autocad architecture. Archi-new 3D Dwg - Free Dwg file Blocks Cad autocad architecture.  Home › Library › Frank Gehry museum opens "Vuitton" is shown to lift a finger to accuse him of a "review"
Frank Gehry museum opens "Vuitton" is shown to lift a finger to accuse him of a "review"
Canadian Architecture / American Frank Gehry Frank Gehry opened Museum of Modern Art building, "Louis Vuitton Foundation" Fondation Louis Vuitton, where the building was built on the site of the water park, which was created specifically for the project's edge. Giri's office building has been designed to respond to the French gardens environment inspired by the gardens of glass buildings in the nineteenth century. The building consists of a formality than a combination of white blocks called Architects name "Iceberg" has covered panels of concrete fiber, and then enclosed in a huge glass panels and curved dubbed Architects name "sails" because of the shape sailing, based in turn on the structure of the rafters. Architects believe that this figure gave the building a sense of transparency and movement while allowing mass reversal on the surrounding surface of the water to keep the "garden and blocks of wood is constantly changing with the light," in the words of architects. The access to the building from the ground floor lobby, where each entry of the museum and the park has been designed Kfrag effective social features a restaurant and bookstore, as relates to the lobby huge multi-purpose space that can be used Kmadrj capacity for 350 people or exhibition space or vacuum celebrations. Provide extensive coverage of the glass building scenes continuously for visitors during the movement of the display to another lounge, as well as visitors can go up on the outer bottom drawers "sails" of glass Aisaloaely gardens and exhibitions on the roof of the building. As is usually the Frank Gehry design has been adopted design approach with the help of modern technology in order to reach the building architecture has contributed to that process more than 400 people. The use of more than 3,600 glass panel and 19,000 Cement board to form interfaces that have been reached using mathematical modeling techniques and using sophisticated industrial robots fully automated by the three-dimensional model of a joint. In addition, Software has been developed specifically for the new post and work on the complex design of the building.